David Winternheimer, PhD, is an entrepreneur in life-science-research and diagnostic tools with experience launching and commercializing several novel products and services for both business-to-business and direct-to-consumer applications. In 2011, David co-founded his first company where he was VP of Business Development at Sanguine Biosciences, a direct-to-patient mobile clinical research service enabling researchers to access trial participants at-home. Since then, David has consulted with several innovative diagnostic companies, leading their product launches and subsequent sales and marketing efforts. David received his PhD in organic chemistry from UCLA and his Masters in Bioscience Management from the Keck Graduate Institute. Angel Cebolla, PhD, is the co-founder of Ingeniatrics Technologies SL (Spain), Biomedal SL (Seville, Spain) and Glutenostics. Angel has been a researcher at the CSIC-Centro Superior de Investigaciones Cientificas (Centro de Investigaciones Biologicas and Centro Nacional de Biotecnologia, Madrid), at the Institute de Sciences Vegetales (CNRS, Gif-sur-Yvette, France) and at the Department of Genetics (University of Seville). He has authored dozens of articles in international scientific journals (Gut, American Journal of Clinical Nutrition, Nature Biotech., Nature Methods, EMBO J. and others) and coordinated several national and international R&D projects granted by the European Commission, private foundations as well as national and regional governments. He is also the co-inventor of 15 international patent applications, and has been awarded the 50K business plan competition at San Telmo International Institute of Business Administration (2000, 2001, 2003), Caja San Fernando I Innovation Award (2007), IX Prize for the Fundamental and Applied Research of Celiac Disease (2012). Angel’s personal interest in celiac disease has spanned over two decades. Francisco Leon, MD PhD, is the co-founder of Celimmune, Glutenostics and Provention Bio, companies developing and commercializing medicines, diagnostics and preventative approaches for people with celiac disease and other immunological disorders. Francisco had extensive experience in translational immunology in academia (National Institutes of Health), biotech (Alba Therapeutics, MedImmune) and ‘big pharma’ (Bristol-Myers Squibb, Johnson & Johnson) before becoming an entrepreneur. Francisco is a clinical immunologist who received his MD and PhD from Autónoma University in Madrid, Spain. Francisco is also Adjunct Professor at Jefferson Medical College (Philadelphia) and has co-authored more than 85 peer-reviewed articles, book chapters and patents. Francisco has been interested in celiac disease since 1993 when he spent a year trying to understand peptide binding to HLA, leading to his PhD in celiac disease in 2001 and his efforts to ameliorate the burden of celiac disease at Alba Therapeutics, Celimmune and Glutenostics. 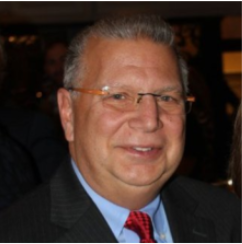 Tony Garramone is a proven leader with over 30 years experience starting, building and managing privately funded technology companies, including managing a business unit of a Fortune 200 pharma company, and also managing a first of its kind $700 million global effort for China. Tony was President of Epic Therapeutics, a private drug delivery company that he positioned to be acquired by Baxter International, after which he stayed on post-acquisition as a Baxter VP and General Manager of the Formulation Technologies business unit. Prior to Epic, Tony was a founding member of Transgenic Sciences, Inc. a company that he helped take public. More recently Tony was key to successfully completing a global project to build digital control systems for nuclear power plants in China. Tony’s interest in celiac disease stems from a personal connection. With multiple family members having been diagnosed over the past 20 years, they have become experts in following the gluten free diet. Vassili Kotlov joins Gultenostics after 10+ years at Prometheus, a pioneering leader in diagnostic approaches to celiac disease. As Head of New Product Development, he developed a passion for innovative diagnostic solutions, leading launches in the areas of Celiac, IBD and IBS, finding connections between autoimmune disorders. Prior experience also includes global marketing and business development for Bristol Myers-Squib with a focus on immunology and oncology. Sheila Crowe, MD, has been active in bench research, clinical care, and teaching in the field of gastroenterology for 35 years, starting her career at McMaster University in Canada before moving to the US in 1992. She joined the University of California, San Diego (UCSD) in July 2011 where she is the director of the UCSD Celiac Disease Clinic and Center. Dr. Crowe has been very active in the American Gastroenterological Association (AGA), serving as President from May 2017 to June 2018. Dr. Crowe has a long-standing interest in celiac disease dating back for over forty years, and has been involved with celiac disease support groups across Canada and the US and has participated in many celiac disease conferences nationally and internationally. She is a member of the Celiac Disease Foundation (CDF) Medical Advisory Board, Scientific/Medical Advisory Board of “Beyond Celiac”, formerly, the National Foundation for Celiac Alliance (NFCA) and has served a 2-year term on the Council of the North American Society for the Study of Celiac Disease (NASSCD). Dr. Crowe has been named in the Best Doctors in America since 1996. Stefano Guandalini, MD is Professor Emeritus and Chief of the Section of Pediatric Gastroenterology, Hepatology and Nutrition of the University of Chicago, where he founded and served as medical director at the University of Chicago Celiac Disease Center. He has served as President of ESPGHAN (European Society for Pediatric Gastroenterology, Hepatology and Nutrition) and as founder and first President of FISPGHAN (the Federation of the International Societies for Pediatric Gastroenterology, Hepatology and Nutrition). He also founded and served as first President of the NASSCD (the North American Society for the Study of Celiac Disease) from 2011-2013. Dr. Guandalini has presented almost 400 invited speeches at national and international meetings, and has organized 12 national and international meetings, and is the author of over 200 publications in peer-reviewed journals. He has contributed more than 30 chapters to gastroenterology books and has also published 5 books as editor. He was named "Maestro di Pediatria" (Master of Pediatrics) by the Italian Society of Pediatrics in 2012, and with an H-index of 36, he is currently recognized in the list of "Top Italian scientists". He was awarded the “Gold Key Award” by the University of Chicago Medicine in recognition of an outstanding career in 2017, and has been ranked one of US Top 5% Doctors by Castle-Connolly from 2008 to 2018. Ciarán P Kelly, MD, is Professor of Medicine at Harvard Medical School and Director of Gastroenterology Training at Beth Israel Deaconess Medical Center (Boston, MA). Dr. Kelly has engaged in patient care and research in Celiac disease for more than 20 years. In 2004 he was a founder of the Celiac Center at BIDMC and continues to serve as its Medical Director. In 2013 he co-founded the Celiac Research Program at Harvard Medical School. Dr Kelly is an internationally recognized expert in the diagnosis and management of celiac disease and leads research programs on disease pathogenesis, diagnosis and new approaches to treatment. He has served as a committee member of the NIH, Center for Scientific Review as well as FDA, CDC and NIH committees on celiac disease and C. difficile infection. Dr Kelly is the author of more than 250 clinical and basic research book chapters, invited reviews, and original research articles appearing in medical and scientific journals including Gastroenterology, The Journal of Clinical Investigation, The Lancet and The New England Journal of Medicine. Michelle Maria Pietzak, MD, is an Assistant Professor of Pediatrics at the University of Southern California Keck School of Medicine. She practices as a Pediatric Gastroenterologist at Los Angeles County + University of Southern California Hospital and Childrens Hospital Los Angeles, caring primarily for children with celiac disease, inflammatory bowel disease, short bowel syndrome, and those who have special nutritional needs requiring either intravenous nutrition or special formulas. Dr. Pietzak has authored more than 80 publications, including abstracts, letters to the editor, peer-reviewed papers, and book chapters for both laypeople and the medical community. She is a recognized international expert, speaker and educator on celiac disease. Her writings have appeared in Gastroenterology, Nutrition in Clinical Practice, Diabetes, Journal of Pediatric Gastroenterology and Nutrition, The New England Journal of Medicine, Archives of Internal Medicine, and Pediatrics in Review. She has been featured in The Los Angeles Times, WebMD, USA Today, TIME, KABC News and PBS Real Moms, Real Stories, Real Savvy. She has contributed to the books “Wheat-Free, Worry-Free The Art of Happy, Healthy, Gluten-Free Living”, “Textbook of Pediatric Gastroenterology”, “Nutrition in the Prevention and Treatment of Disease” “The Gluten Free Bible” and “Living Gluten Free For Dummies”. She has also developed CD and DVD sets dedicated to educating patients and physicians about celiac disease and the gluten free diet. Dr. Pietzak is also the recipient of numerous grants, including from the NIH, to study autoimmune intestinal diseases, as well as the interactions of E. coli bacteria and the gastrointestinal tract. She is the author of many articles on celiac disease and the gluten-free diet including textbooks, magazines and other patient education resources. She is the Past Chairperson for the Dietitians in Gluten Intolerance Disease a subunit of the Medical Nutrition Practice group of the Academy of Nutrition and Dietetics.